The sky is pouring down drops of joy and washing away all the scorching heat. The arrival of monsoon in the capital calls for a much needed break. 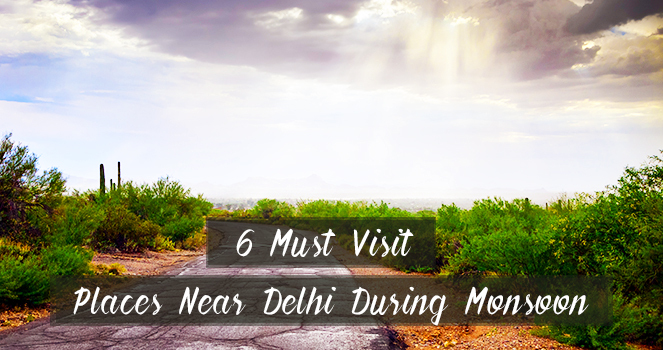 There are too many places around Delhi which you can explore - Here are few of our recommendations! 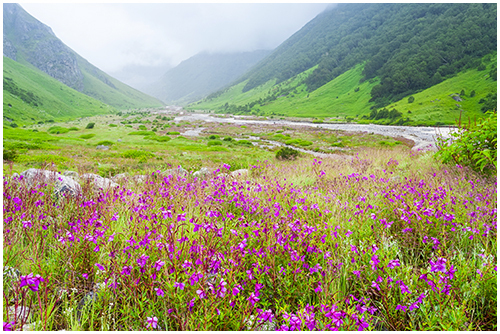 Nestled amidst the west Himalayan region, Valley of Flowers is spread across 88 square kilometers. During monsoon, the mountain valley is covered by alpine flowers and a wide variety of flora. During the trek route to the Valley of flowers, you will also encounter numerous water falls, glaciers, and pine forests. The region is also home to endangered animals like black deer, snow leopard, red fox, musk deer and blue sheep - If you are lucky, you may spot a few them while trekking through the woods. 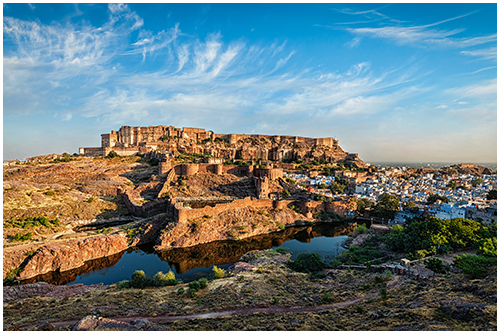 Mehrangarh Fort of Jodhpur stands tall on the rocky hill that rises 400 feet above the surrounding plain. Being one of the largest forts in India, it appears both to rule and to meld with the landscape. The view of the old city from the fort looks breathtakingly beautiful. The rainfall, fresh air and the greenery makes it worth visiting during monsoon. 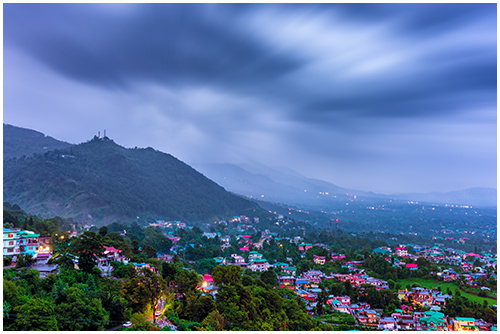 If you are willing to experience a romance in the hills, then Dharamshala should be on top of your list! The beauty of hills enhance during monsoon. A walk through green cedar forest and the view of the Himalayas is all you need to rejuvenate your mind and soul! 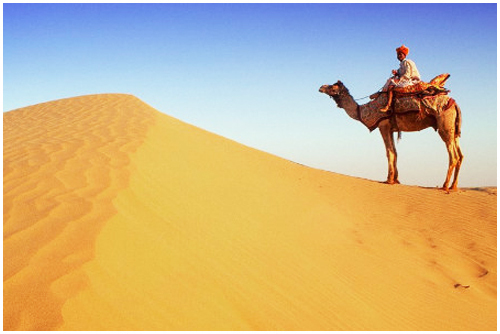 Phalodi is the land of salt lakes and sand dunes. The tribal villages connecting to evergreen Indira Gandhi Canal. Although Phalodi is beautiful all year round but its beauty really comes alive during monsoon. The induced greenery in between desserts makes the small district worth exploring! The old temples and ancient havelis add to this dessert beauty. 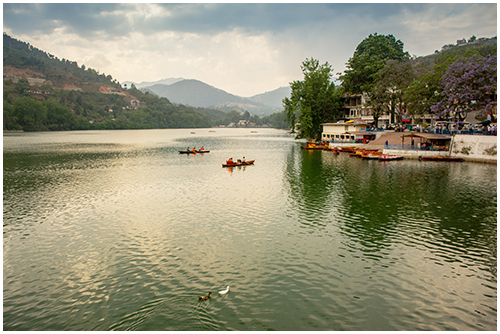 If you are looking for a place to unwind and experience serenity - You should visit Bhimtal. Unlike other hill stations, Bhimtal is less urbanized and enjoys untouched natural beauty. The major attraction of the hill station is The Bhimtal Lake, which has an island in the middle of it. You can also explore folk art or go for short hikes in the forest. Nestled amidst Kumayon region of Himalayas, Almora is full of greenery and receives moderate rainfall during monsoon. 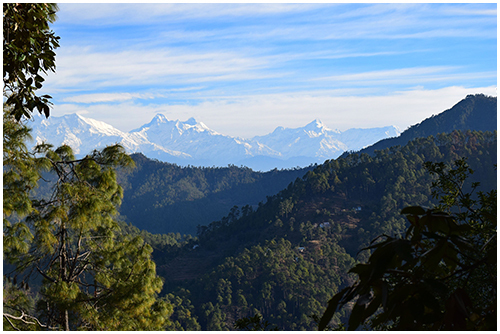 Apart from the bountiful nature and the Himalayas in the backdrop, Almora is also known as a temple town of which Binsar and Shiva temples are quite well known. The view of pine forest after the rains looks breathtakingly beautiful. Planning your next monsoon road trip already? Book a car online from Volercars and enjoy riding in your convenience and comfort. We provide you best price along with exciting deals. We ensure your safety and comfort, our cars are cleaned and serviced prior the trip and we have various pickup points around the city, but you can still choose to get the car delivered at your doorstep. Choose freedom and flexibility with Volercars!